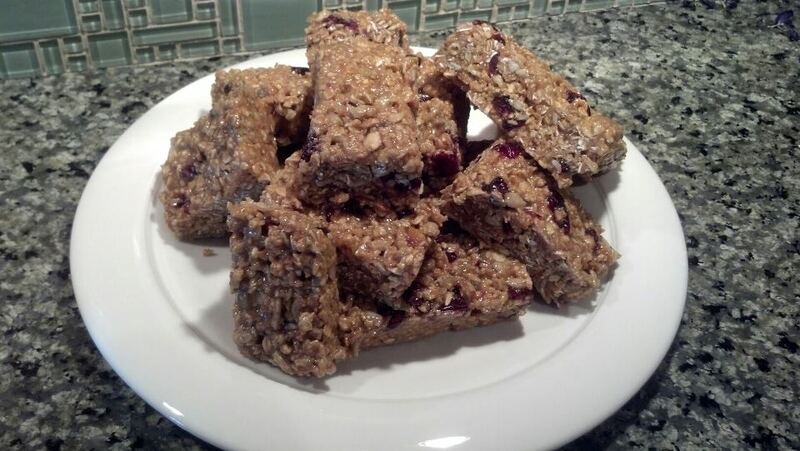 *These ingredients control the overall sweetness and moisture of the bars. I sometimes use less brown rice syrup, and more peanut butter. Feel free to modify to your liking. Preheat oven to 325. Lightly grease 8-inch by 8-inch baking dish and set aside. Combine oats, cinnamon and salt in large bowl. Mix in seeds and coconut. Add ½ cup of brown rice syrup and ½ cup maple syrup. 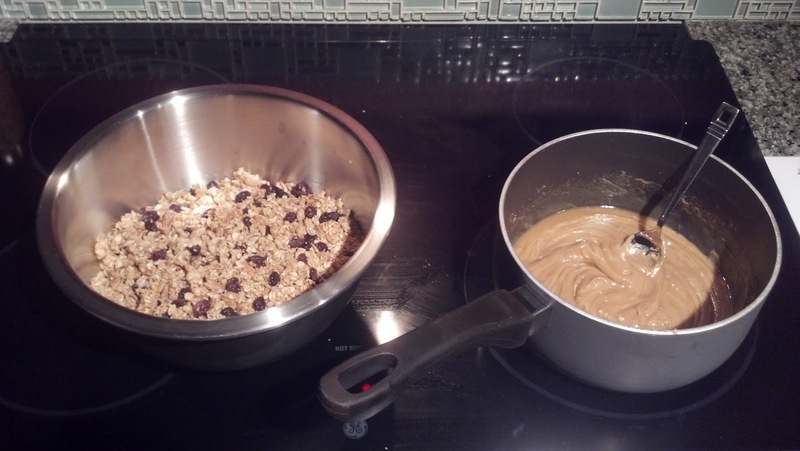 Mix well with a fork until oat mixture is evenly coated. Spread on cookie sheet, lined with parchment paper. Bake for a total 20 minutes, stirring every 5 minutes to keep from sticking or burning. Cool granola on cookie sheet. Stir in the raisins/cranberries. Allow to cool completely, then pour into a large bowl. As the granola cools, it will harden into large pieces. Break up these pieces as you pour it into the bowl. Combine 3/4 cup* brown rice syrup, ½* cup maple syrup, 3/4 cup* peanut butter and 1 tsp vanilla in saucepan over medium-high heat. (*The combination of ingredients here will determine the overall sweetness and moisture of the bars. This mixture might be too moist for your preference. I suggest trying it as printed once, then modifying to your liking for future batches.) Stir constantly until mixture is smooth and well incorporated. Pour over granola. Press into prepared baking dish. 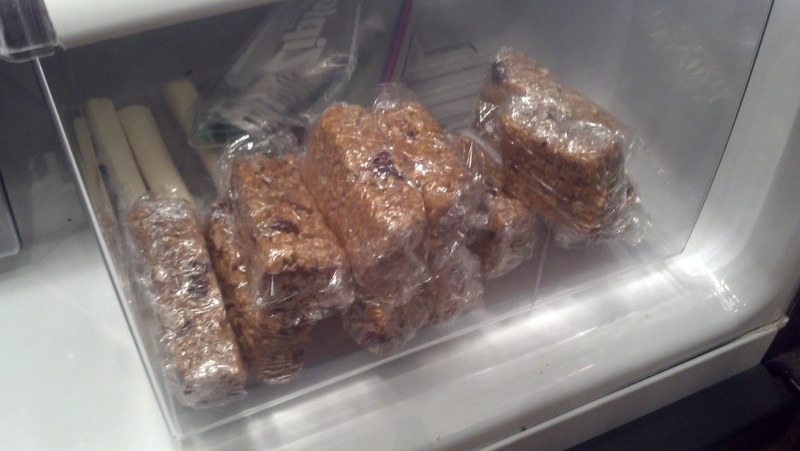 Cover, and refrigerate until set. Cut into squares and wrap with plastic to store.